Saw this is South Carolina last week. I bet this stuff is awesome! This stuff IS awesome. I don’t want to eat corn on the cob anymore unless I boiled it in this stuff!! I’ve tried it and love it but just can’t find it anywhere in the Southern Region. GA Is it available online if so what website and how much? If i order several to a dozen will it last over a year? I’d love to know more about it and wished others knew about such a great tasting product! It is AWESOME!!! Yes it is. I just ordered some from their website. However, I like the Cajun Corn Boil better than the regular corn boil. I’ve kept some in cabinet for a year and seemed to do just fine! 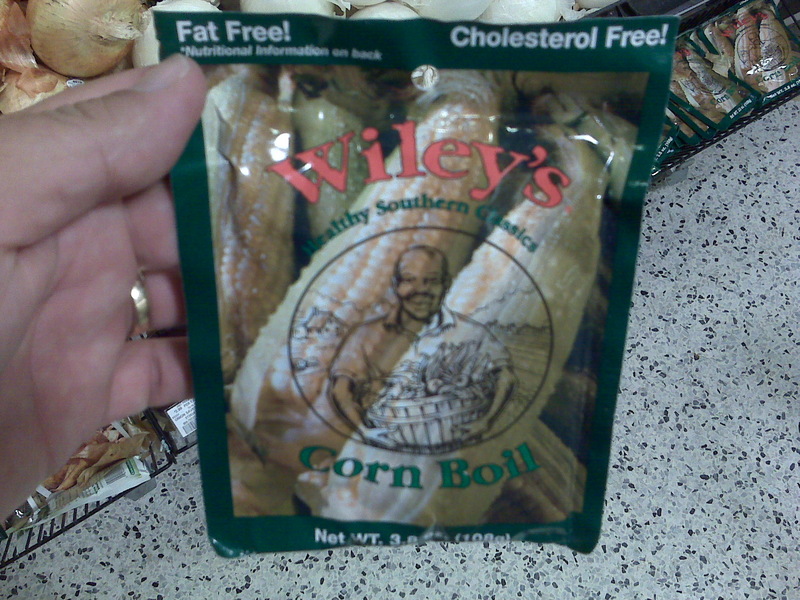 (If link doesn’t work, just Google, Wiley’s Corn Boil and their website will pop up. Next Next post: Out of Beer at the White House?